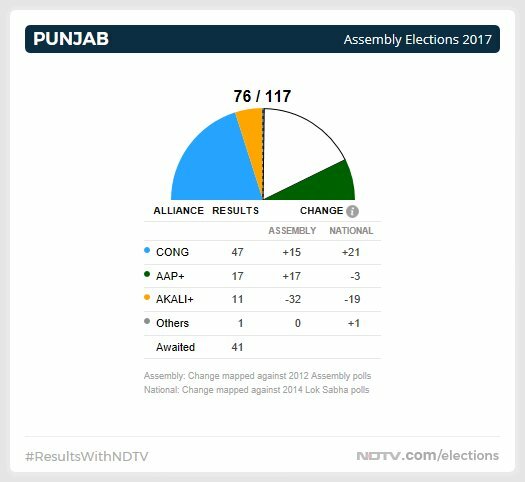 Punjab Election Result 2017: Amarinder Singh previously served as Chief Minister from 2002 to 2007. On his 75th birth anniversary, Captain Amarinder Singh received the best gift he could've wished for. People of Punjab gave the Congress a thumping majority in the state, reducing the ruling Akali Dal-BJP alliance to a dismal third position. 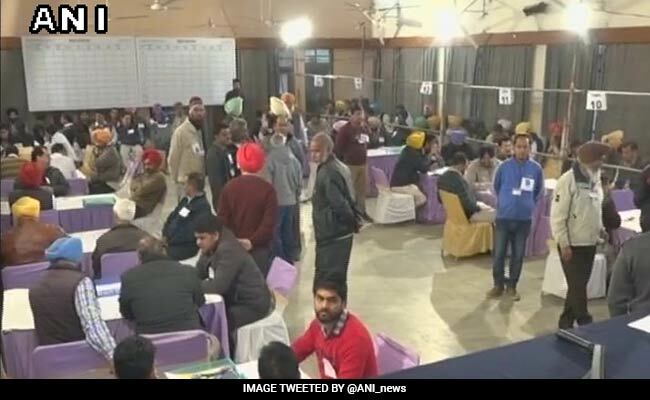 As of 5.35 pm, the Congress won in 70 seats - comfortably crossing the magic mark of 59 - whereas the debuting Aam Aadmi Party (AAP) won 23 seats and the Akali Dal-BJP alliance was restricted to 17 seats. Despite losing the Lambi constituency to outgoing Chief Minister Parkash Singh Badal, he comfortably won in his home-turf of Patiala Urban. 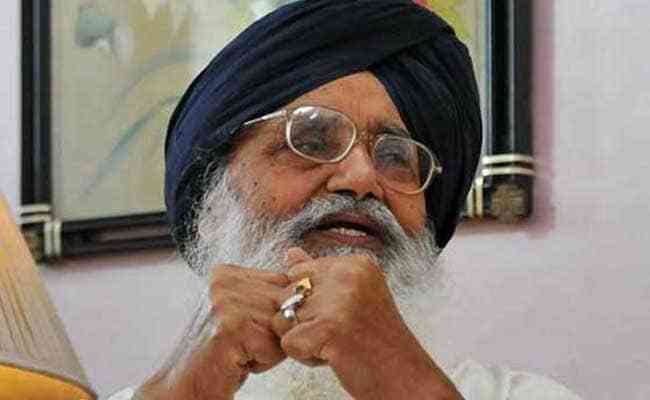 Mr Singh is set to serve a second term as Chief Minister of Punjab. Among other high-profile contests, AAP's Bhagwant Mann lost to Deputy Chief Minister Sukhbir Singh Badal. 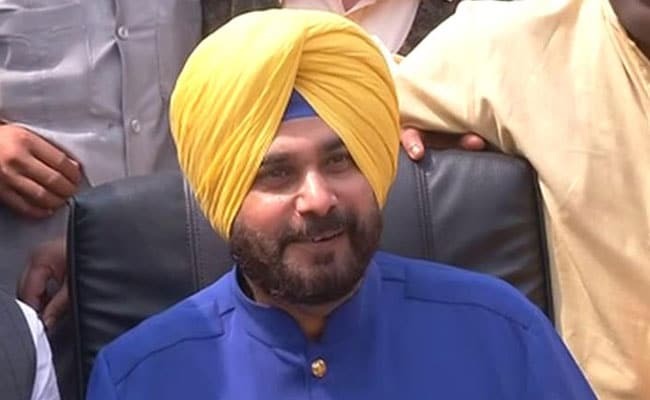 Former BJP MP and Congress leader Navjot Singh Sidhu won from the Amritsar East constituency. 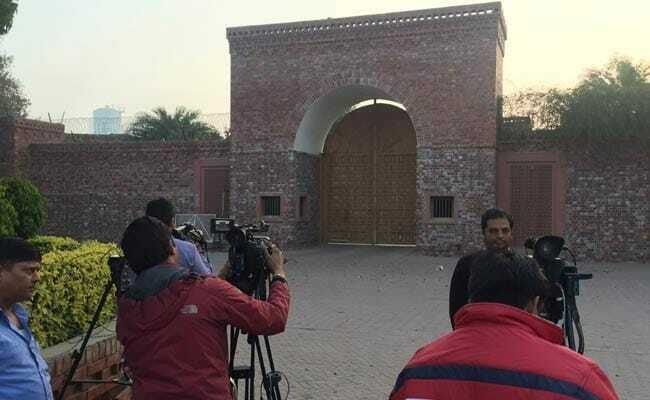 Prime Minister Narendra Modi, senior Akali Dal leader Harsimrat Kaur Badal and other ministers were among those who congratulated Amarinder Singh and the Congress. 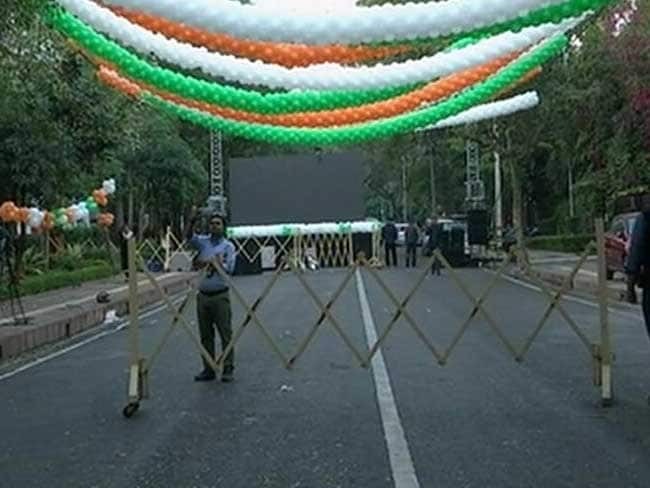 Congress supporters celebrating party win. The Congress is set to form a government in Punjab after 10 years. Akali Dal leader Bikram Majithia thanks the voters of Majitha constituency. Heartfelt gratitude to the people of Majitha for reposing their faith in us. We will put in best efforts to live up to their expectations. Congratulations to @capt_amarinder for winning Punjab elections.We hope that he will fulfill all the promises made to the people of Punjab. I thank people of Punjab for giving @Akali_Dal_ & @BJP4Punjab the opportunity to serve for 10 years & for the support we got in these polls. There is no regret (on Punjab). 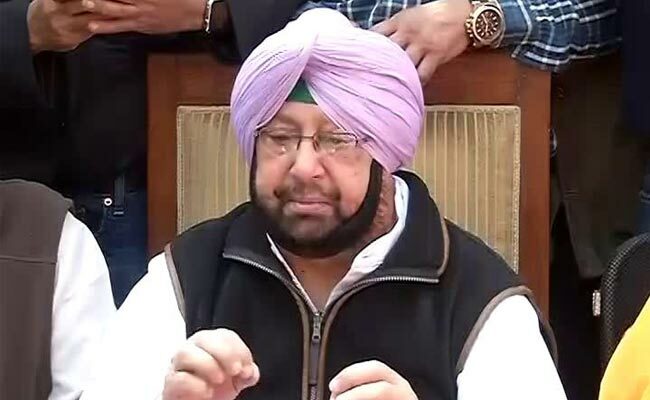 PM Narendra Modi has congratulated Captain Amarinder Singh. We will study and analyse the defeat. 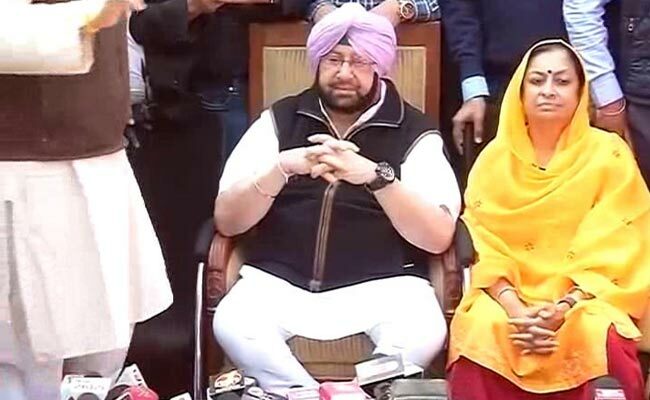 Captain Amarinder Singh thanks PM Narendra Modi. 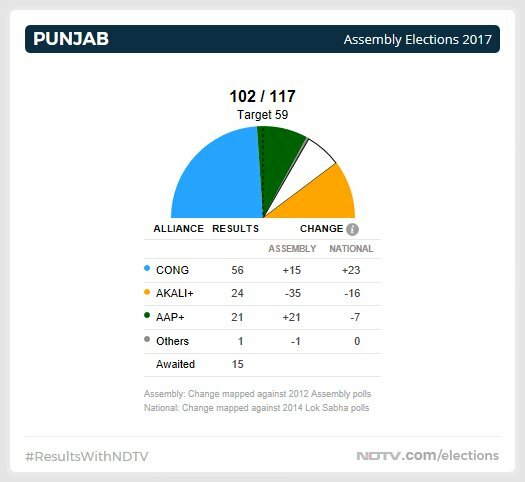 Sukhbir Singh Badal, president of the Shiromani Akali Dal, defeats AAP MP from Sanrgrur Bhagwant Mann in his home-turf of Jalalabad. 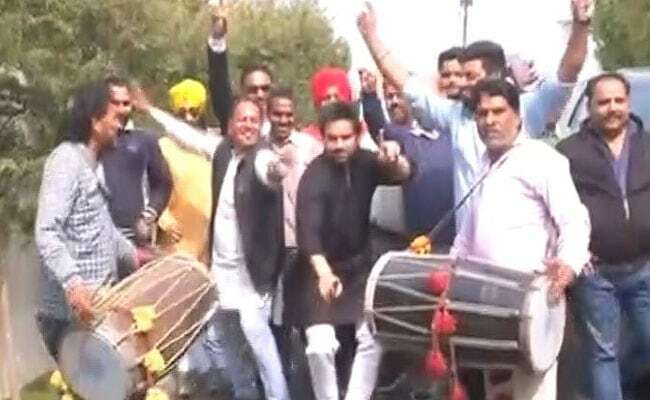 However, the Akali Dal-BJP alliance has been defeated by the Congress. Presently, the party is leading in 18 assembly constituencies. 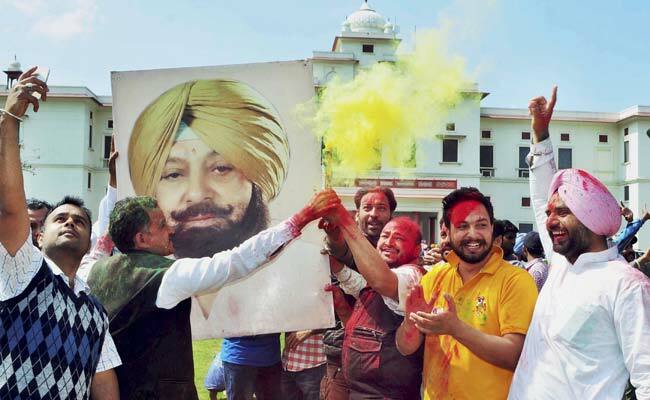 Ex-criketer Navjot Singh Sidhu has won the Amritsar East assembly constituency. Mr Sidhu, formerly in the BJP, had served two consecutive terms as Lok Sabha MP from Amritsar. He quit the BJP and joined the Congress ahead of the polls. 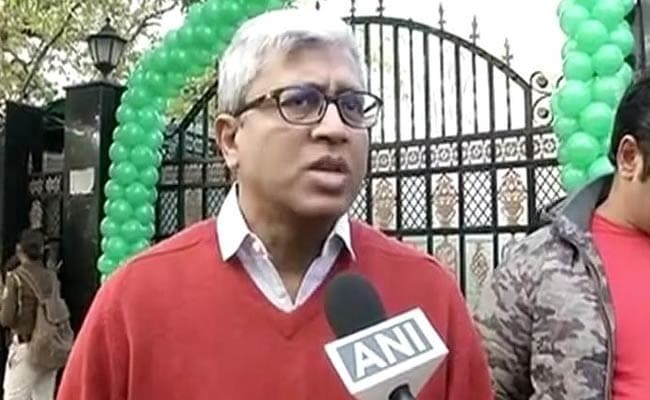 The AAP on Saturday said it was disappointed over losing the Punjab election but added that becoming the main opposition in the border state was also an achievement. 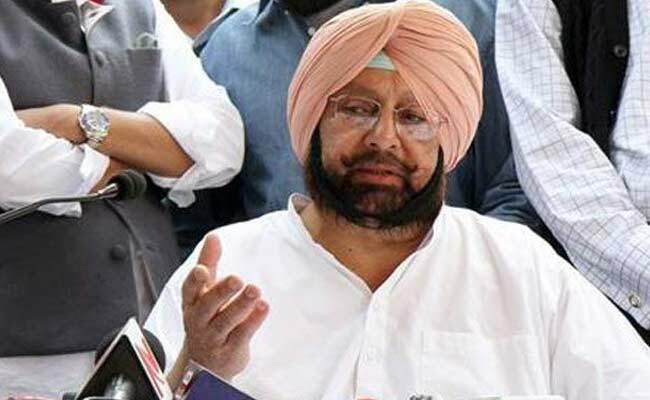 The Congress has won a comfortable majority, defeating the Akali Dal-BJP alliance and the AAP , paving way for Captain Amarinder Singh, chief of the party's state unit, to take oath as Chief Minister for the second time in his political career. Spoke to @capt_amarinder & congratulated him on the win in Punjab. Also wished him a happy birthday & prayed for his long & healthy life. 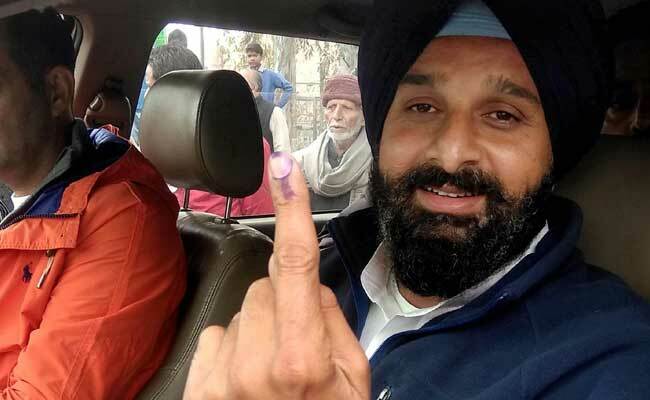 Bikram Singh Majithia, brother-in-law of Akali Dal chief Sukhbir Singh Badal, wins from the Majitha assembly constituency. 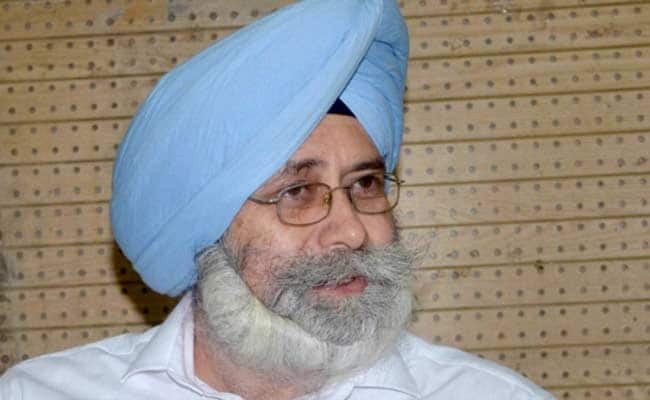 Advocate HS Phoolka, who represents victims of the 1984 anti-Sikh riots, has won from the Dakha assembly constituency in north Punjab. We have to discuss the reason for the loss. We strive to do better next time around. Grateful to the people of Punjab for their overwhelming support! With this verdict, it's time to bring back the heydays of Punjab! Let me take this opportunity to thank the Congress rank & file for their tremendous effort! 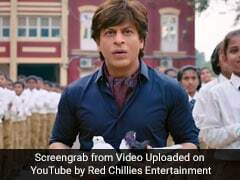 I said on the very first day that the voter of Punjab is very smart. They understood the AAP has no leadership, no credibility. 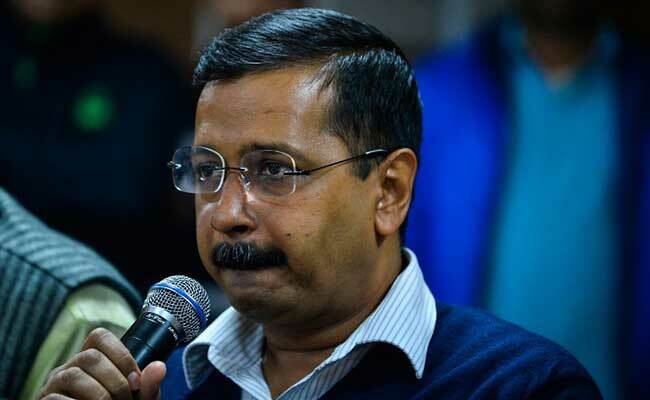 He (Arvind Kejriwal) is a summer storm and he is gone. We go by what our central leadership thinks is best. People of Punjab want industry and jobs. It is the Congress workers who worked. He (Prashant Kishor) was a strategist. But of course I am very happy with his work. We have to leave the mentality of revenge behind and work for Punjab's development. We have to fight to bring back the lost pride and wealth of Punjab. One needs good intent to win. 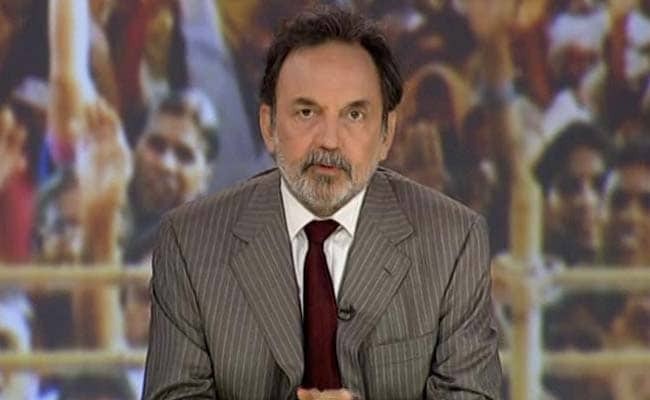 Kejriwal lost because his intent was not right. He wanted everything for himself. I want to promise Sonia Gandhi that we will present Punjab as an example. No sacrifice will be too large for it. 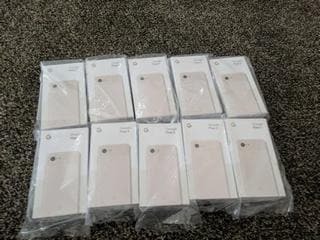 If I have done well, all credit goes to my wife. 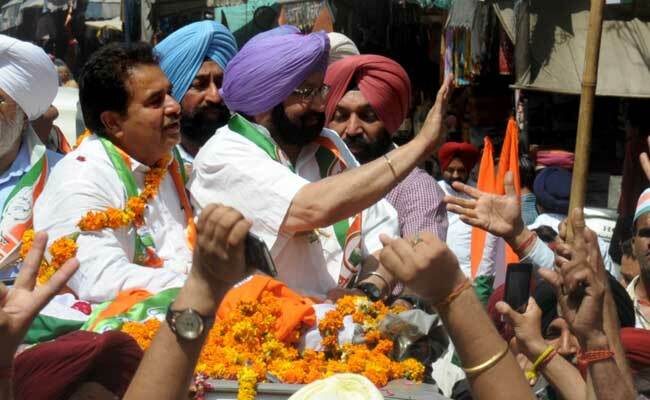 Cricketer-turned-politician Navjot Singh Sidhu is set to win Amritsar East as a Congress candidate. 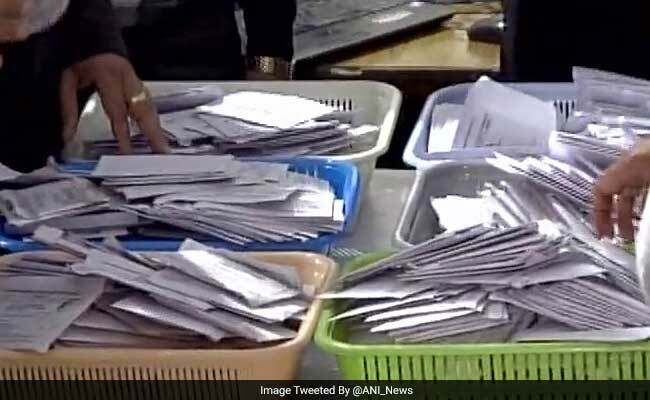 The former BJP MP has a lead of nearly 23,000 votes over his nearest rival, BJP's Rajesh Kumar Honey. 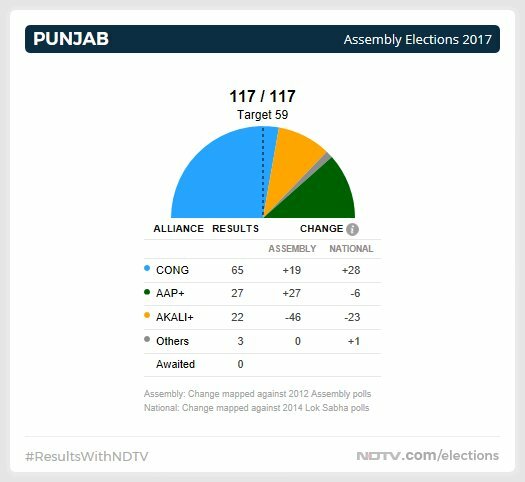 While the trends are highly unfavourable for the Congress in UP and Uttarakhand, it is scripting quite a different story in Punjab. 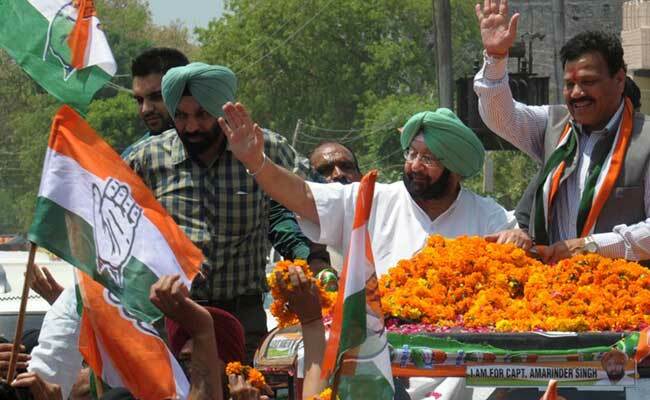 With leads in 72 assembly constituencies, the Congress and Captain Amarinder Singh are set to make a comeback in the state after 10 years. Captain Amarinder Singh could not have hoped for a better 75th birthday celebration. 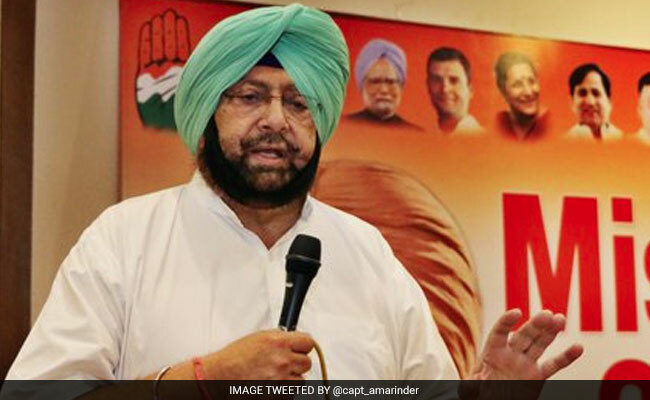 His party, the Congress, is making a comeback in Punjab after 10 years and he is expected to return as Chief Minister. 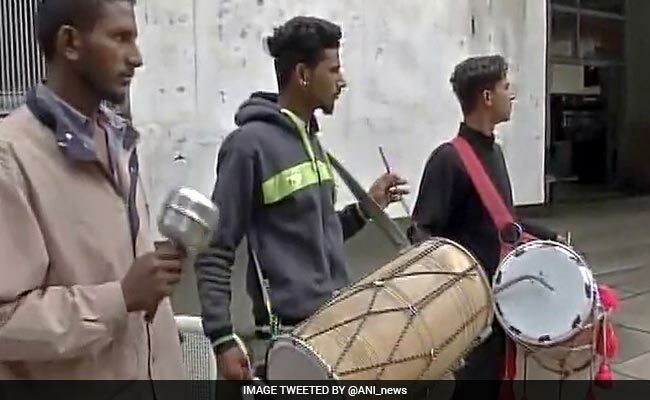 The Aam Aadmi Party had gone full blast with balloons and "Jai Ho" blaring on loudspeakers, anticipating smashing results from Punjab and Goa. Punjab Congress president Captain Amarinder Singh is all set to be the Chief Minister for the second time in the agrarian state. As per 11 am, the Congress is six seats over the magic mark of 59 whereas the AAP, with leads in 27 seats, has regained the second place. The AAP seeks to expand its base in Punjab and Goa. Early trends indicated that the AAP would emerge as the second largest party. 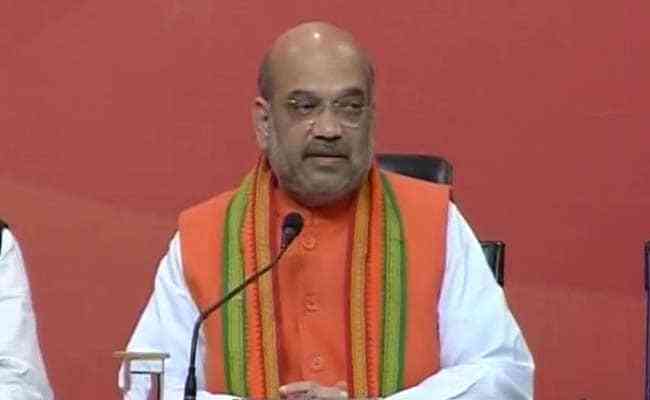 Presently, it is expected to become the third largest party behind Congress and the Akali Dal-BJP alliance, which has fared better than what the exit polls predicted. 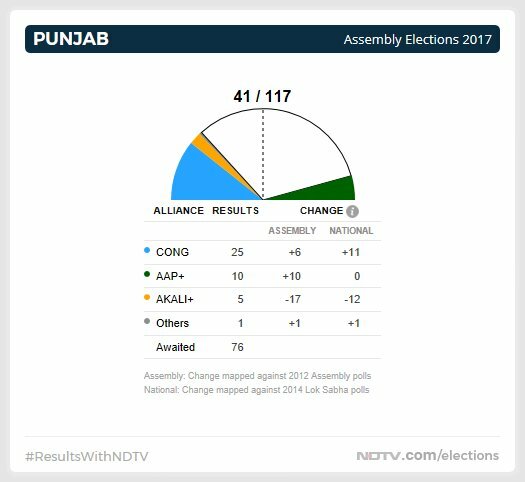 The Congress took a lead in Punjab as votes were counted this morning. In leads for 79 seats, the Congress was ahead in 58. The Akali-BJP, was leading in 23. 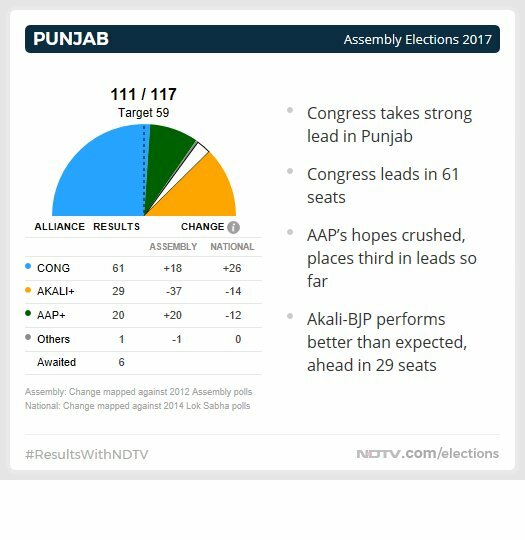 Akali Dal-BJP is now in the second position whereas the Congress still seems to be in the driving seat. 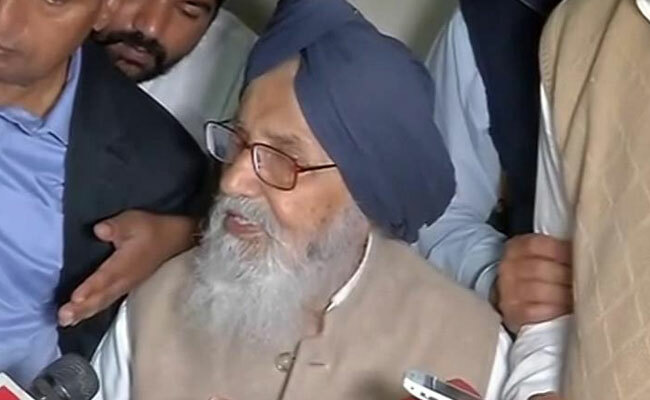 The Akali Dal-BJP alliance is heading toward a decimation. 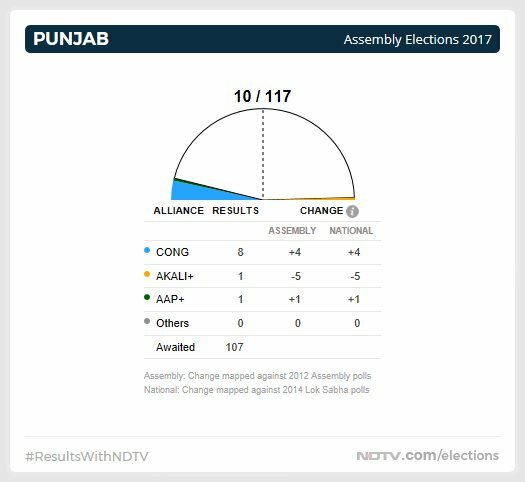 Punjab leads at 9.05 am. Congress ahead. 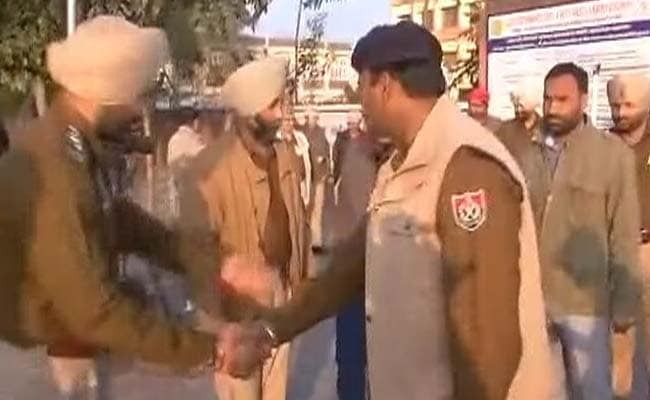 The Congress is leading in 25 seats whereas the ruling Akali Dal-BJP alliance is leading in five. The AAP is leading in 10 seats. His key opponent General JJ Singh of Akali Dal is trailing. 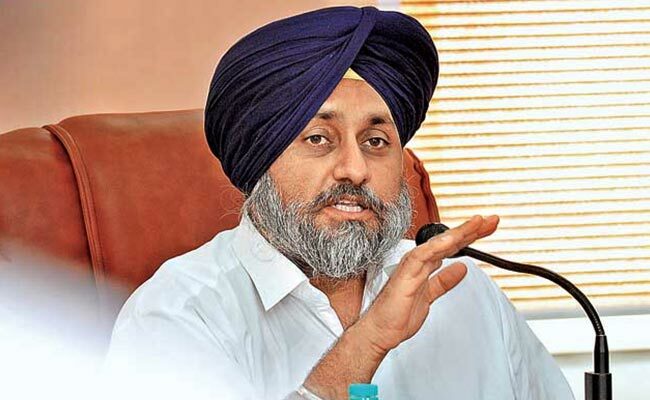 Akali Dal chief Sukhbir Singh badal trailing in Jalalabad. AAP MP Bhagwant Mann is leading. Postal ballots are being counted first. 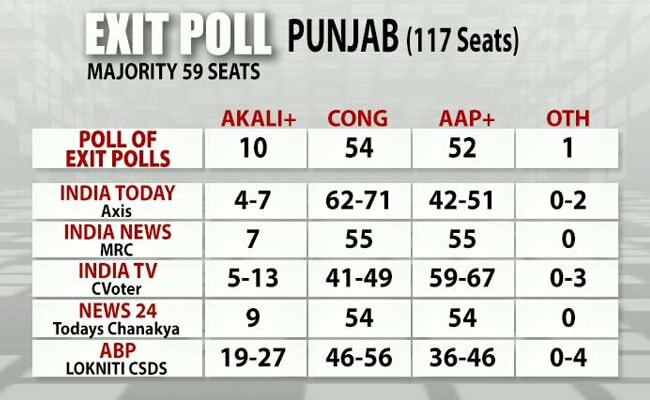 Dr Roy: In 2012, Akali+BJP had 68 seats, Cong 46 - first time Punjab's revolving door was smashed. In 2014, AAP won equivalent of 33 seats - that was a big blow to Akalis who have been in power for 10 years now.